Often people have to attend a meeting or visit family, and then go back to the place from where they come in 3-7 days. Most of the domestic and international flights arrive in Phoenix Sky Harbor Airport in Arizona, because it's a lot more economical. In case you have to travel to another destination and come back the same day or a few days later, you can count on us. 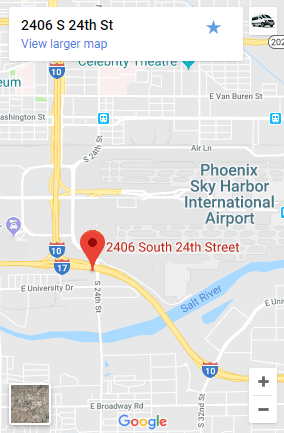 For example, you have a meeting or have family in Tucson and your flight landed on PHX Sky Harbor International Airport, you can use the round trip service on PHX to Tucson Shuttle and then back to PHX. With this offer you get a 10% discount from our company's services each way on round trips. You also get a free upgrade to non-stop. This offer is great for business people and other individuals who are visiting family. In such a case it is important that you are well aware of the appropriate address where you should be picked, and what is your desired destination. By knowing the addresses you will get to know the correct rates and the discount amount that you will save. Our professional drivers are fully aware of all the preferred routes and drop you off at your location on the time. We know that time is money, so speed is what we offer with quality service and safety. With more than 4,500 customers, most of the people like getting a non-stop ride home or to visit family, and benefit from the discount and superior service. We have set our priorities to make your experience great, more convenient, and our drivers follow through accordingly. Before you use our services you are presented with all the terms and conditions that you approve first. All the road rules are kept in mind by the driver just to ensure your safety and leisure. For a round trip we recommend a car because it takes one hour and forty minutes to reach the desired location in normal traffic. If you go for a shuttle or a bus with a different company, then it takes more than three hours to reach Tucson or Phoenix. If you take a look at other shuttle services and ride sharing companies, pricing is never fixed. For example, Uber and Lyft greatly increase their price based on rush hour traffic and driver availability, and often cancel last minute. We have fixed rates and pricing can be managed easily by our customers. We do not normally add any additional charges; the rates you get to know first are the ones that you normally have to pay. Taxi's are expensive and Uber may double or triple the price, so don't wait for too long to book your ride. If you are making a quick trip on PHX to Tucson, you will prefer our services and surely enjoy the luxurious non-stop trip to Tucson or the PHX airport. Other things to consider is that most shared ride services leave you at a bus stop, which means you may need to arrange or pay for other services to get home. On the surface it seems like you are saving money, but you are actually paying the same amount overall with a lot less convenience, safety and reliability.